Finding cruise reviews is easy -- there are hundreds online, but finding good reviews is not so easy. Most of the stuff out there is too short, old and dull. So we did the work to identify really good, detailed, recent reviews of cruises from New Orleans. Enjoy. 1. American Queen steamboat review from River Cruise Advisor. A comprehensive article that also has a video and links to another multi-part review of the American Queen riverboat. You won't find a more in-depth look at a cruise on the Mississippi. 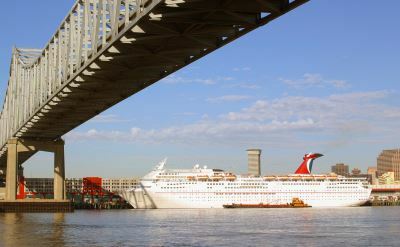 2. Review of Carnival cruise from New Orleans from Ray's Cruise Blog. The writer's 93rd cruise (!) is on the big Carnival Dream. A very good time on the voyage to Cozumel, Grand Cayman and Jamaica. All about the entertainment, food, and shore excursions. 3. 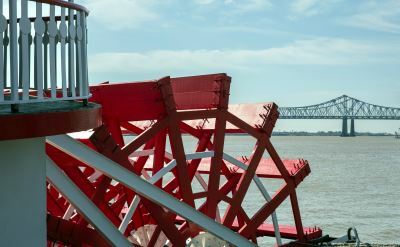 A quick visit to the American Eagle paddlewheel riverboat from Maritime Matters. The christening of the new ship that offers Mississippi River cruises. Many photos with descriptions that provide a fine overview of what you'll find on board. 4. Norwegian Gem cruise review from Beyond Ships. A comprehensive review of staterooms, dining and entertainment on the Norwegian Cruise Line ship in New Orleans. 5. Crystal Serenity review video by Popular Cruising. Something different and entertaining -- a video review of the luxurious Crystal Cruises ship that offers a couple of departures from New Orleans. Just 12 minutes long and very informative.